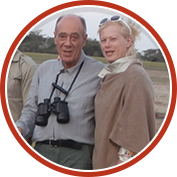 Benigna and her husband Mario del Priori were lucky enough to spend some time in the Serengeti National Park in mid-December 2014 - an experience which they say will remain in their memories forever. Even though this wasn’t Benigna and Mario’s first visit to Africa (they’ve been to Senegal and Zanzibar before), this was their first true safari experience. Grab a coffee and make yourself cosy. Here are the highlights of Benigna and Mario’s Serengeti adventure. Benigna is a correspondent for a German magazine in Rome, writing about fashion, arts and culture and Mario owns an electrical engineering firm, focusing on railways, underground trains and renewable energy projects. After reading Dr. Bernard Grzimek’s Serengeti Shall Not Die almost 40 years ago, Benigna always wished to visit it one day. Mission accomplished. Benigna and Mario’s trip started on 11 December 2014 in the largest city in Turkey - Istanbul - where they spent one night before catching a Turkish Airlines flight to Arusha, Tanzania. Three hours later after their arrival, they hopped onto another plane which took them to their first accommodation, the Lake Manyara Tree Lodge. The first part of Benigna and Mario’s Serengeti safari started at the Lake Manyara Tree Lodge, the only permanent luxury lodge in the Lake Manyara National Park. Weather-wise, things were pretty hot during their time at Lake Manyara, but luckily they had the option to dine outdoors. The couple said that all the staff at the Tree Lodge was very friendly and helpful, and the food was delicious! "All the staff was very friendly, helpful, the food was well cooked and tasty and we really enjoyed our stay." Wildlife was what they wanted to see, and that’s exactly what they got! Peter showed them the tree-climbing lions, zebras, wildebeest as well as the flamingos which call Lake Manyara their home. The second stay of their Serengeti safari brought Benigna and Mario to Ngorongoro Crater Lodge, perched right on the edge of the crater itself! Benigna was blown away by the beauty of the lodge. The exterior architecture blended in well with the Ngorongoro countryside and its interior was designed to match a colonial African style. She loved the fireplace in the bedroom and the panoramic views they got from their bedroom and bathroom. "We had stunning views of the Crater from every position in the lodge, even from the bath and toilet!" They also loved the room service at the Ngorongoro Crater Lodge. They had their own butler who gave them a wake-up call every morning together with coffee and cookies, who made sure that their sherry was ready once they got back from their game drives and warmed up their room by lighting up the fireplace. He even prepared a nice warm water bath for them - with rose petals decorated around it! Benigna and Mario saw rhino and a big lion pride during their game drives in the Ngorongoro Crater. They were also treated to a breakfast as well as a lunch picnic in the crater in front of a lake where a pod of hippo’s were taking a bath. Benigna says the food they had at the Ngorongoro Crater Lodge was the best they experienced throughout their entire Serengeti safari. In fact, it was so good that she wanted the recipes of the dishes they ate. As a surprise, the lodge manager went one better - arranging a special lesson in the kitchen for her! Benigna and Mario next pit stop was at Klein's Camp, situated on the edge of the Kuka Hills. The loved the little cottage they found themselves in, the staff was friendly and the food was very healthy! Here, they managed to see lots of giraffe, various types of antelope and lots of lions. The weather wasn’t so great - but the rain certainly didn’t damper their spirits. 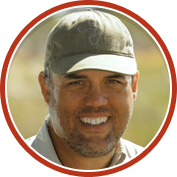 Mario and Benigna went hiking up the Kuka Hills, painted with the water colours they found in their room, but the highlight of their stay at Klein's Camp was the evening game drive they experienced, which of course, included sundowners. "The little cottages are very well constructed, the staff is friendly and the food was healthy." Benigna and Mario’s spent their final three nights of their Tanzania safari at the Serengeti Under Canvas Camp, a luxurious semi-permanent tented camp that moves around the Serengeti, putting guests within reach of the great wildebeest migration. The tents were really comfortable and they were very impressed by camps preparation for the bad weather they experienced - they were given boots for the rain, umbrellas and even warm water to take a shower! Even though the couple would have liked to have gone on a full day safari, they managed to see so much wildlife during the three half-day trips they went on. They managed to spot the wildebeest herds, zebras, antelopes and cheetah. "Everything well organized even for bad weather conditions." A cheetah pops up from the long grass for a photo opportunity. Benigna says that she’s already planning their next African safari, this time to Botswana’s Okavango Delta!